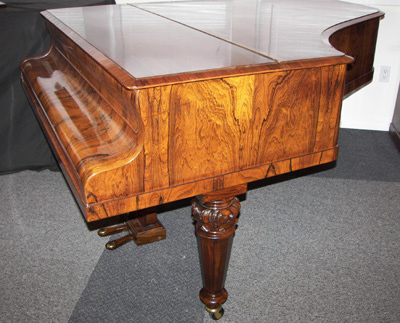 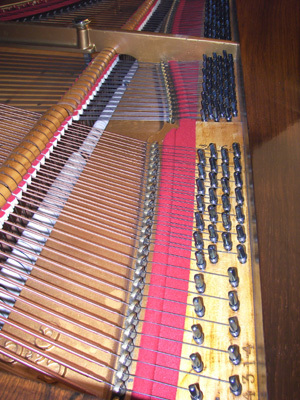 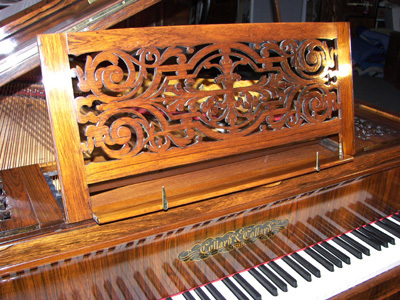 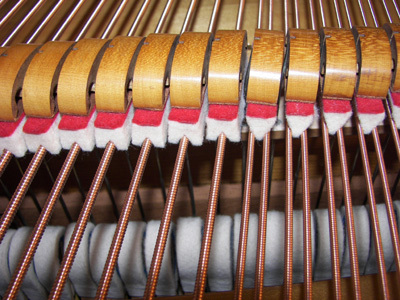 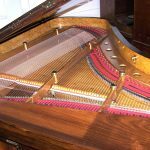 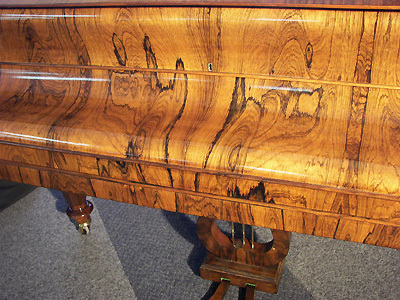 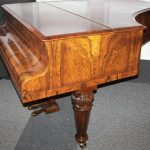 A truly beautiful piano in the lovely Collard & Collard style with curved front sharps and the ivories shaped to fit. 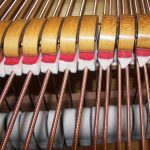 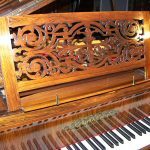 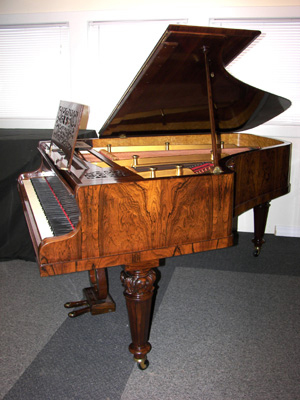 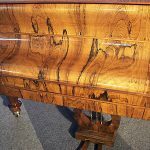 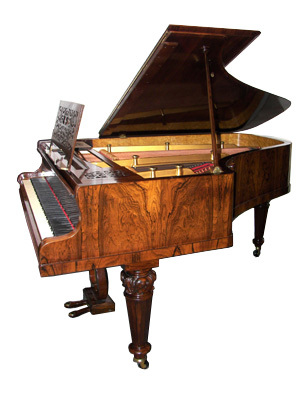 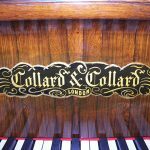 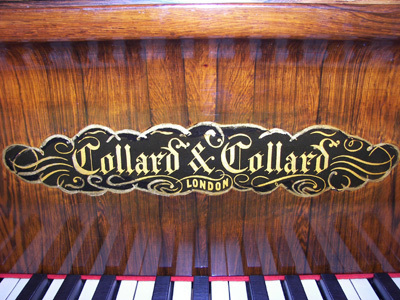 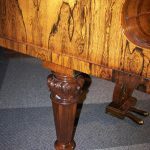 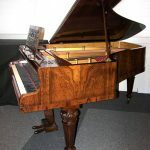 Collard & Collard were one of the finest and oldest English piano manufacturers, having begun as the Clementi piano company founded at the beginning of the 19th century by the famous performer and composer Muzio Clementi. 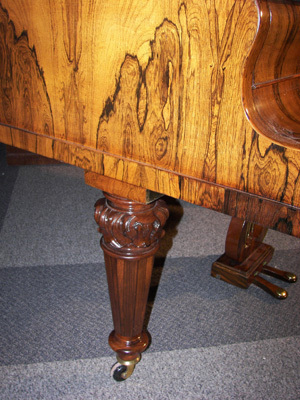 Elegant details include beautifully carved legs and music desk and book-matched veneer. 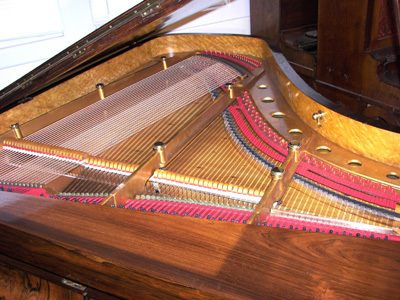 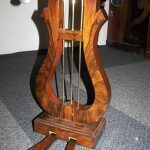 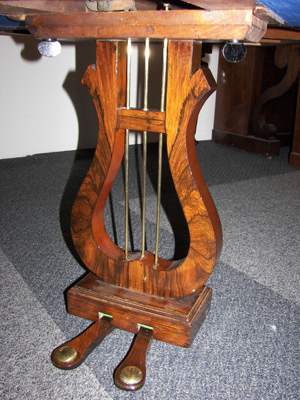 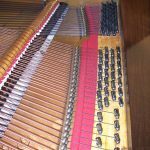 Completely restored and a wonderful musical instrument to see, hear, and play.